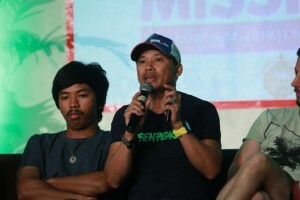 To increase the demand to stop single-use plastic, Greenpeace brought environmental speakers as well as the crew of their Rainbow Warrior ship to share to Josenians the horrid impact of plastic on the planet. Greenpeace campaigner Abigail Aguilar shares that recycling is not enough as approximately 90% of plastic waste cannot be recycled. 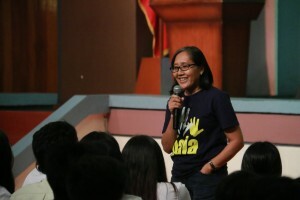 Tony Galon encourages students to make a habit of picking up at least 5 pieces of garbage on the streets. On board the Rainbow Warrior, some employees of USJ-R sign the manifesto to express commitment to help minimize the proliferation of single-use plastic.